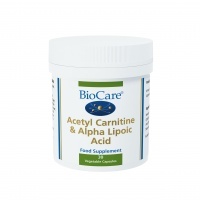 Biocare Alpha Lipoic Acid is an Antioxidant vital to energy production & is said to be cardio-protective. 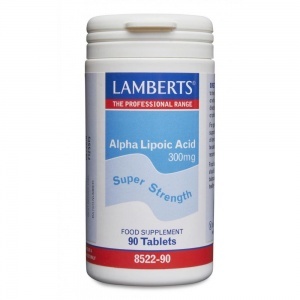 Higher Nature Alpha Lipoic acid, is a powerful Antioxidants to counter free radicals. Jarrow Formulas Alpha Lipoic Acid is a fatty acid, that is found naturally in every cell within the body where it helps turn glucose into energy. 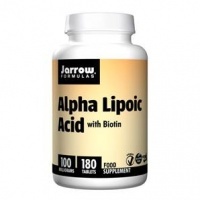 Jarrow Alpha Lipoic Acid with Biotin tablets are a fatty acid that helps turn glucose into energy. Alpha lipoic acid works well when taken with glutathione, vitamin E, vitamin C and D.
For cellular energy production and as a potent antioxidant. Helps metabolize sugar and promote energy. Antioxidant and cellular energy production. This product that is 3.1 times more bioavailable than traditional powdered C0Q10, providing faster, more efficient delivery of this important nutrient to the cells.